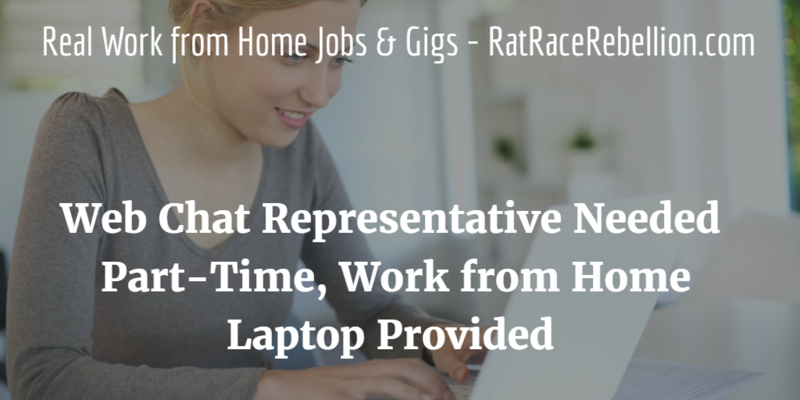 Work from Home Part-Time Web Chat Representative Needed – Laptop Provided! [Update July 16 — Chat jobs usually go fast, and the company notified us that this job just got filled. But we’ll post more chat openings as we find them. 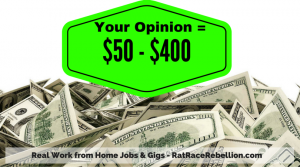 For more work from home jobs & gigs, see our Daily Jobs page. ~ Mike] If you’re looking for an online chat job — no phone work! — Rent-2-Own seeks a part-time Web Chat Representative to join their Live Chat Team. Laptop provided! Rent-2-Own is an Ohio-based company that lets people choose rent-to-own merchandise on their website from brands like Sony, HP, Whirlpool and Samsung. Products range from smartphones to washing machines to furniture and more. As on other websites, the Chat Rep. helps customers as they browse the site. You’ll need to be a high school grad or equivalent, and have basic customer service skills, plus the ability to type 30 WPM. The job isn’t listed on the company’s site, but on their Facebook page. Click here, then scroll down to the posts from July 7. (Keep scrolling — It’s time-stamped 6:44pm. This entry was posted in Chat Jobs, Customer Service Jobs, Work at Home Jobs and tagged Rent-2-Own. Bookmark the permalink.